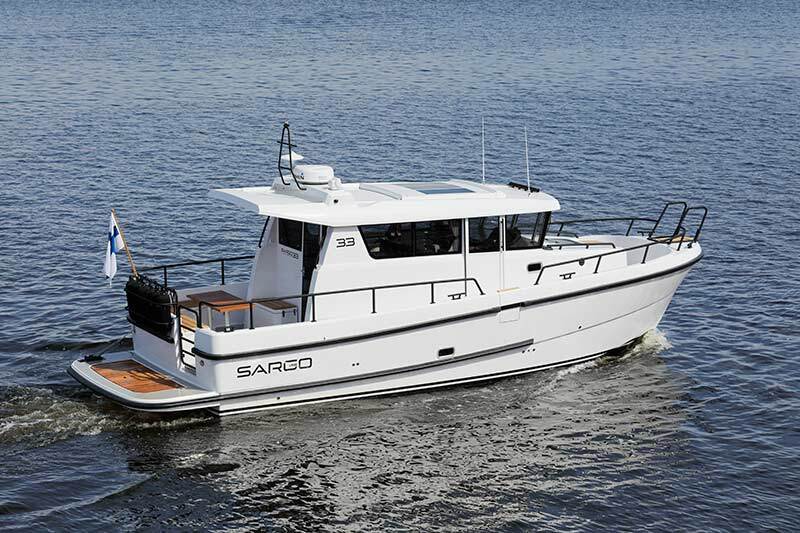 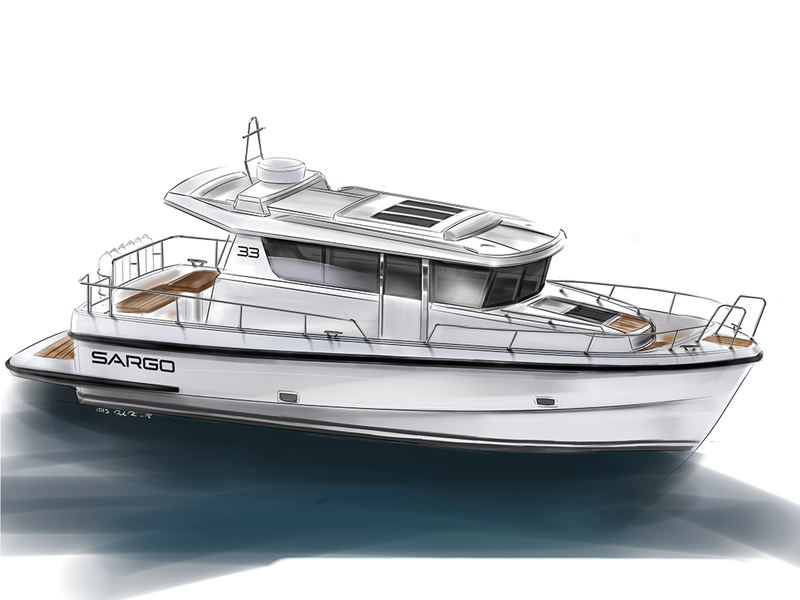 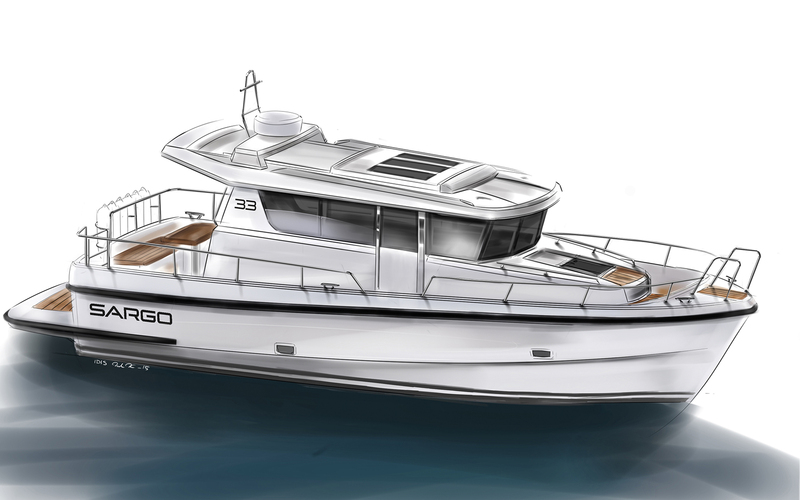 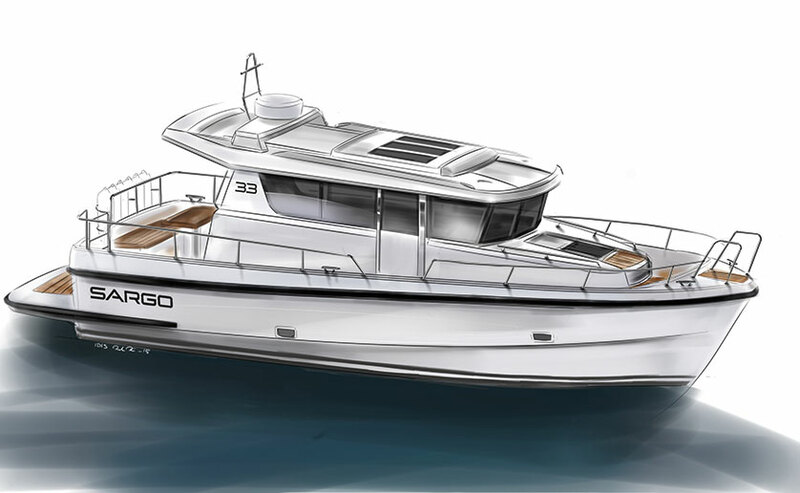 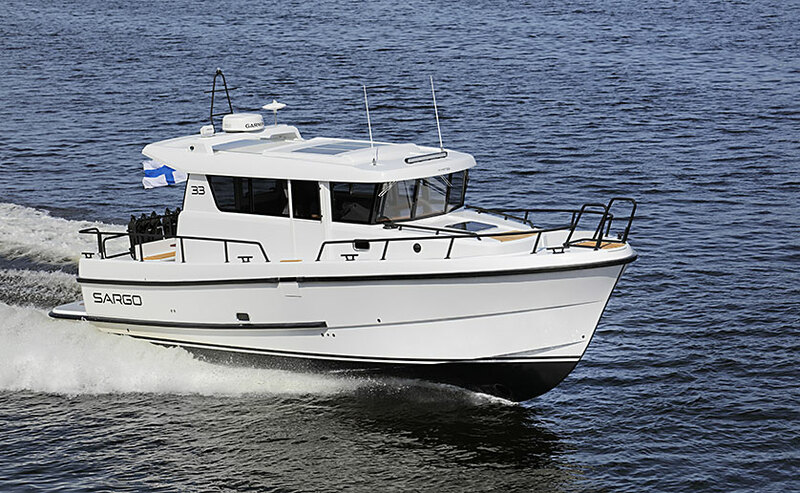 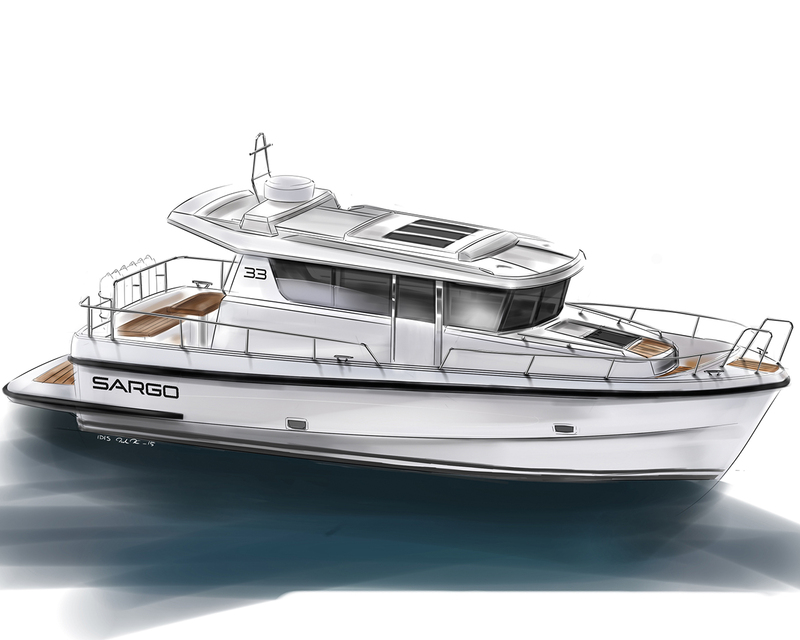 Sargo 33 is a compact boat radiating sportiness, safety and solidity. 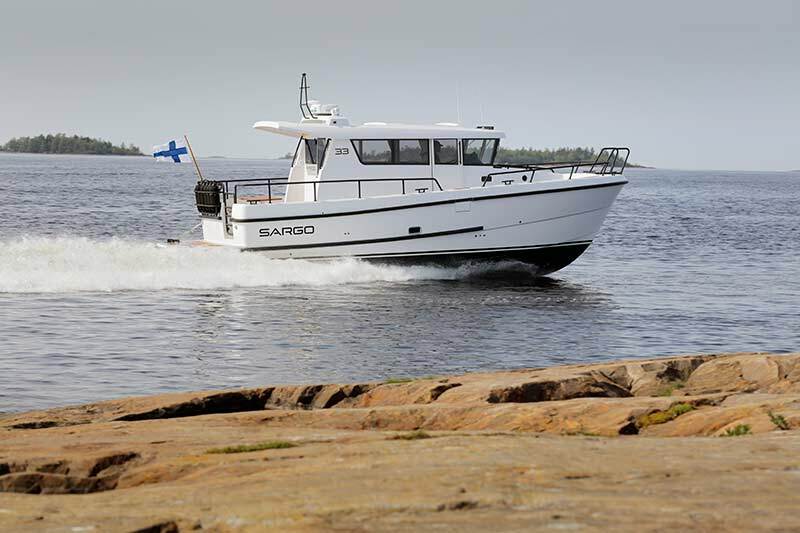 A long waterline combined with a strong V-shaped hull provides a pleasant ride also in rough conditions and at a speed up to 40 knots. 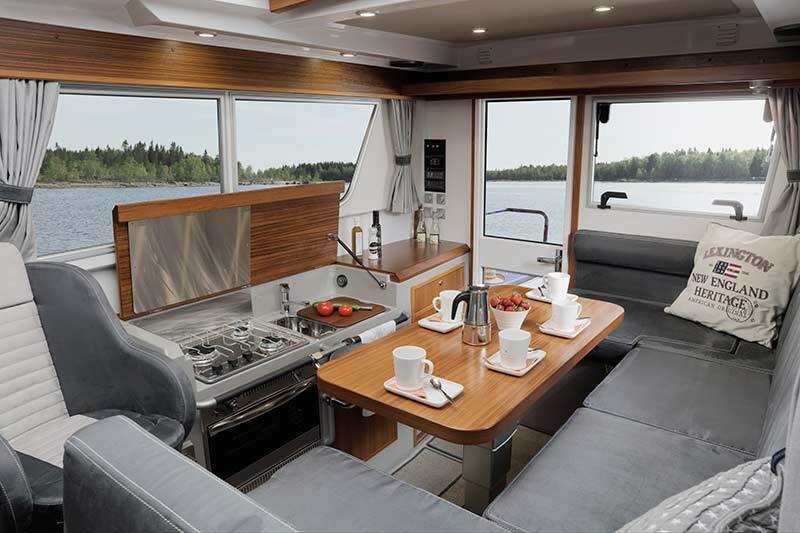 The well designed walk around single-level deck with a high freeboard guarantees safety on board, and the stern deck furnished with an L shaped sofa is a natural gathering area during the evenings. 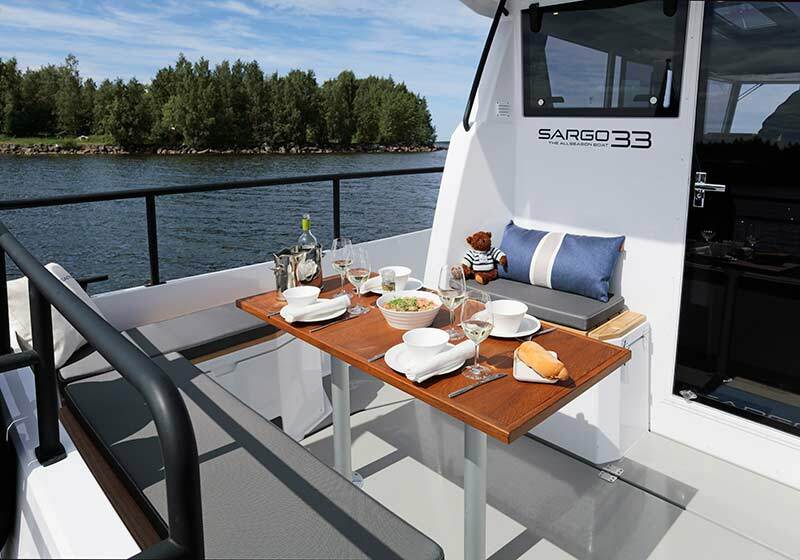 By using modern 3D planning we have managed to utilize every inch of space, especially in the cabins of our new SARGO 33. 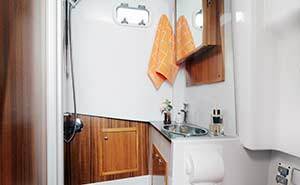 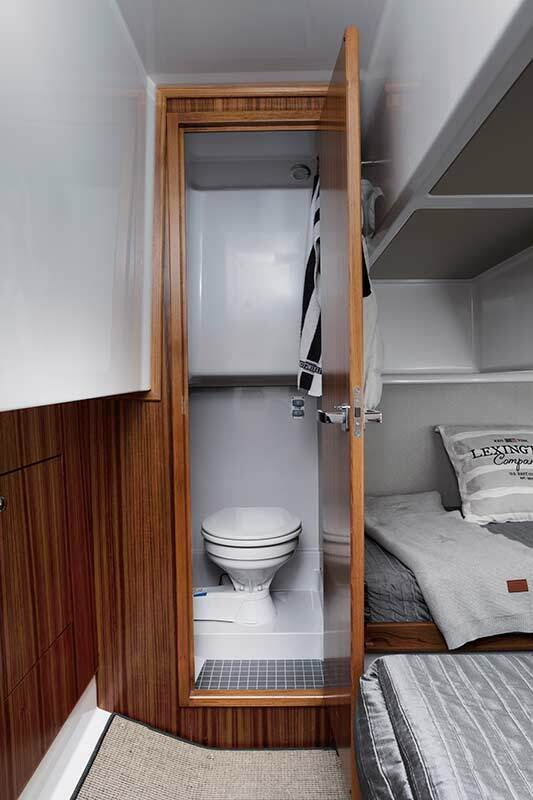 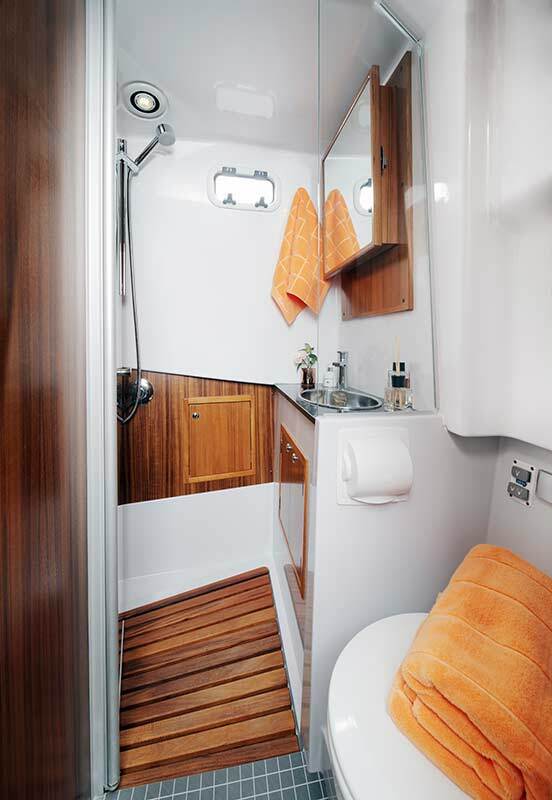 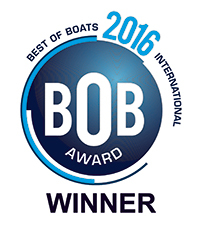 The front cabin is equipped above average when a 33 feet boat is concerned: large storage, pleasant v-berth, head and separate shower cabinet. 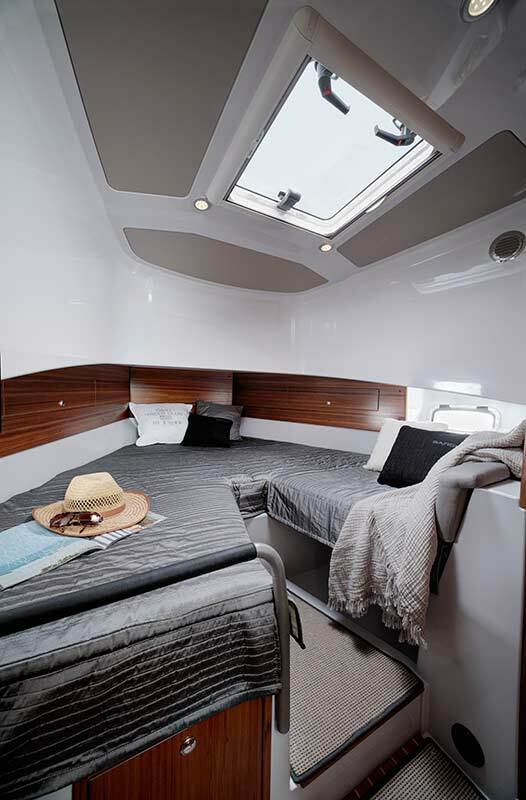 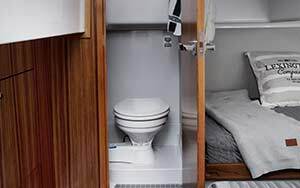 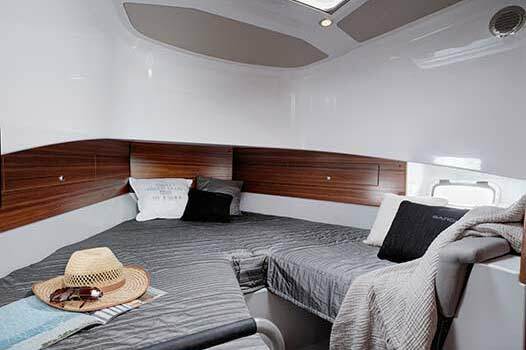 The middle cabin offers three berths and a divan as standard or an optional head. 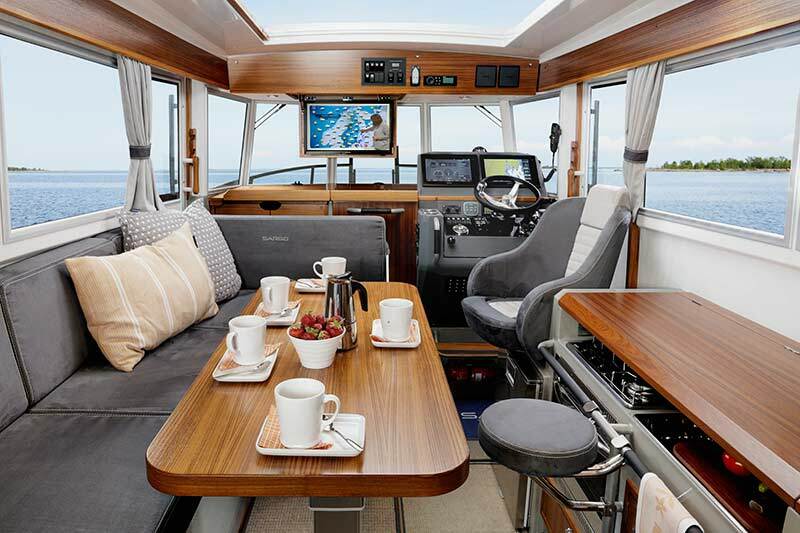 If you like sportiness, you will appreciate the ergonomics and several practical details in the steering cabin. 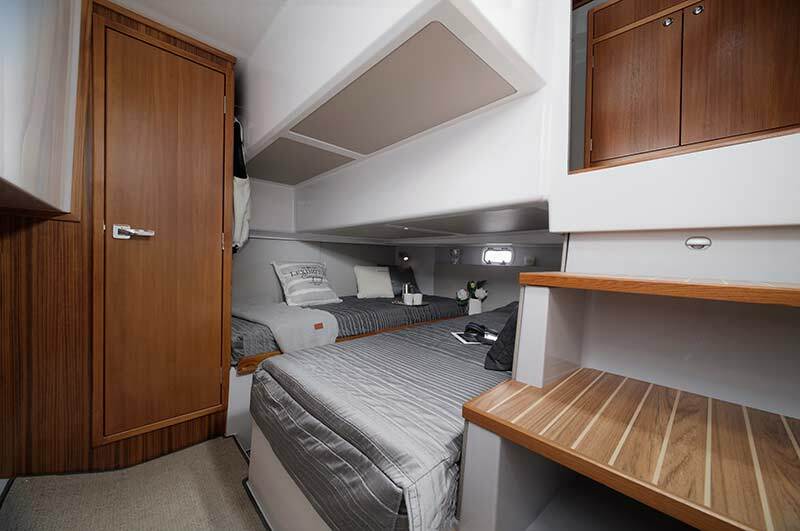 Offshore seat and place for 2 chart plotters will impress the most demanding skipper. 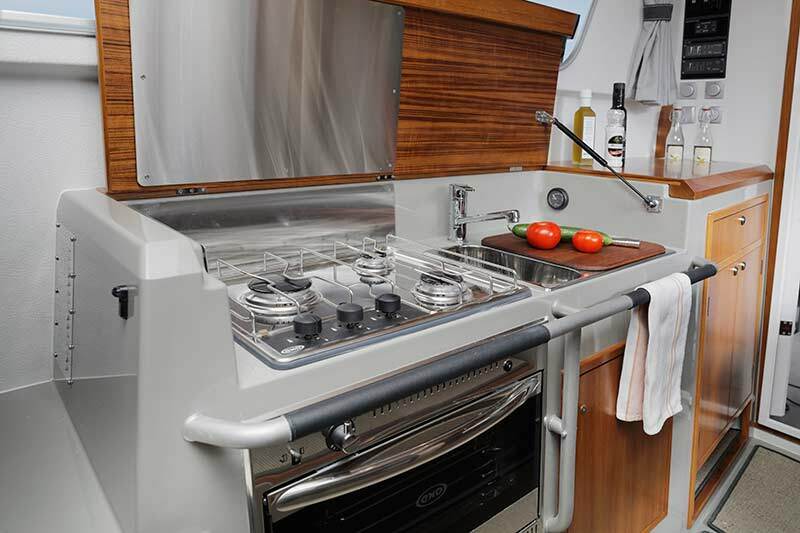 The captain side door, that can be combined with an optional deck gate, makes going ashore extra smooth.